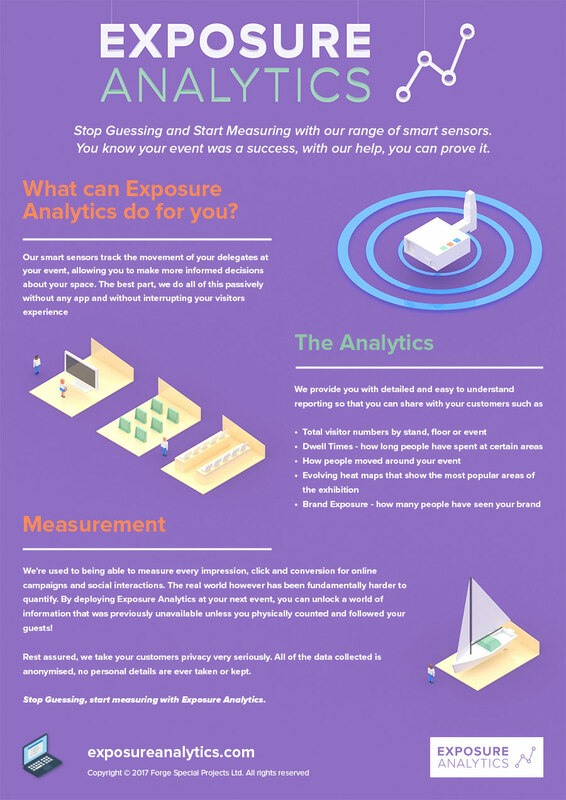 Exposure Analytics is the market leader in physical space analytics. 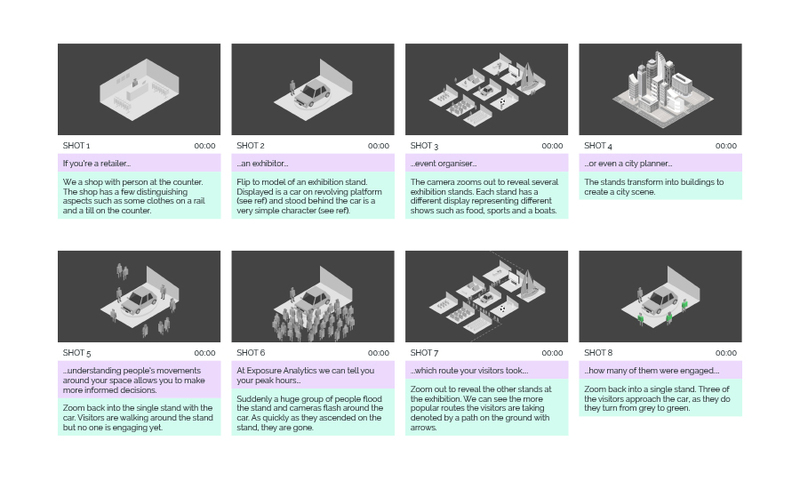 Using their unique suite of data collection technology, Exposure delivers key insights into how visitors interact with an event or retail space. 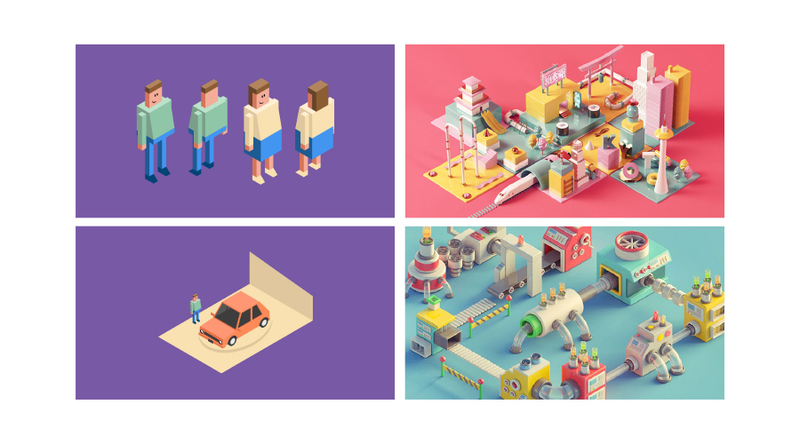 Exposure Analytics came to us needing an explainer video for one of their products. The video needed to explain the benefits in a simple, short and punchy way so it didn’t lose peoples attention. They hit us with a 4-week deadline as they had a trade show coming up so we went to work. With help from their team we came up with a script then straight away began designing the characters and sets. After that was approved we modelled all the assets digitally, before we animated and composited it all together with a professional voice over and sound design. The client was over the moon with the result and the video went down very well at the trade show. It was an absolute pleasure to work on and we can’t wait to work on the next product. 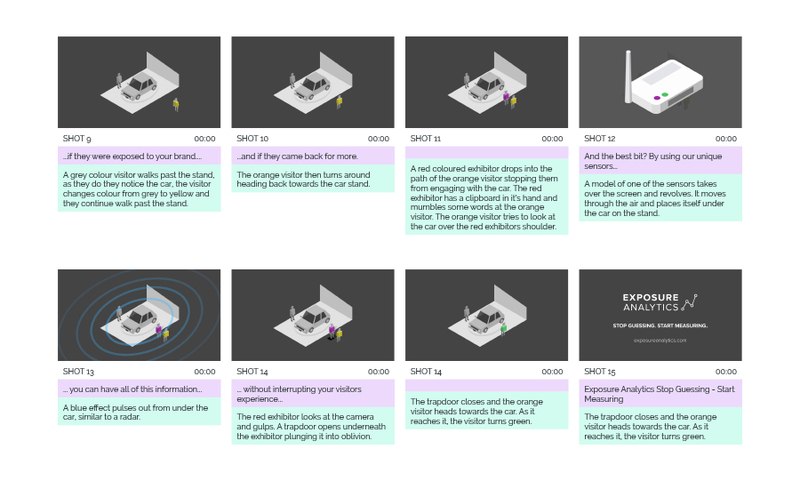 Every good film starts with a great script but once that has been approved we need to start visualising our ideas by finding reference, creating concept art and a storyboard. Once the storyboard has been approved we add all the panels onto a timeline so we can make sure the visuals are working with the voice over and the music but also to check that the pace of the film is on point. The client also asked for a pdf they could use to follow up on leads up after the show.